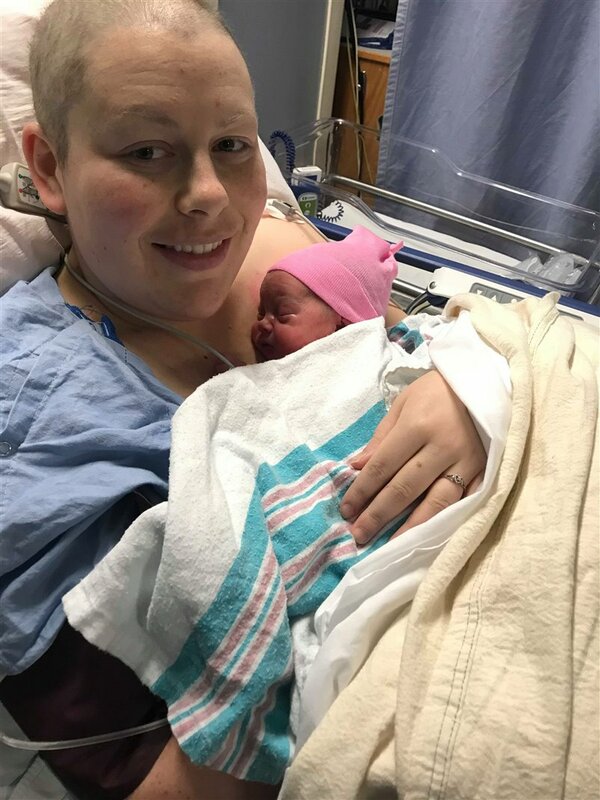 On June 13 when I was only 12 weeks into my pregnancy, I was diagnosed with stage 2B invasive breast cancer. I was diagnosed when I was 27 years old and found out I am BRCA2. I had a mastectomy done on July 5 where we found that it had spread to a lymph node and began chemo August 10. My treatment was once every three weeks. At every doctors’ appointment in the beginning of this journey, I was offered to terminate my pregnancy, which was not at all an option – this baby was my miracle and a result of IVF. My last AC chemo was October 12 and my oncologist did not see a problem with delaying Taxol a few weeks to let my baby grow. On November 28th at 36 weeks and 5 days I delivered my perfect little angel, Abigail Judith. 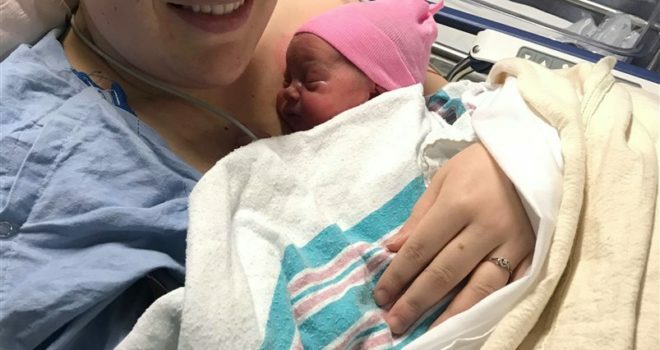 She was born weighing 5lb 14oz and 18.5 inches long and in perfect health. I will begin Taxol once a week for 12 weeks starting December 14 with radiation to follow. This diagnosis was terrifying on its own but knowing that I had this precious baby growing inside me was motivation to keep my spirits up. My children are my life and I plan on growing old and watching them grow up. I refuse to let this diagnosis own me. That pretty much sums up my journey so far.